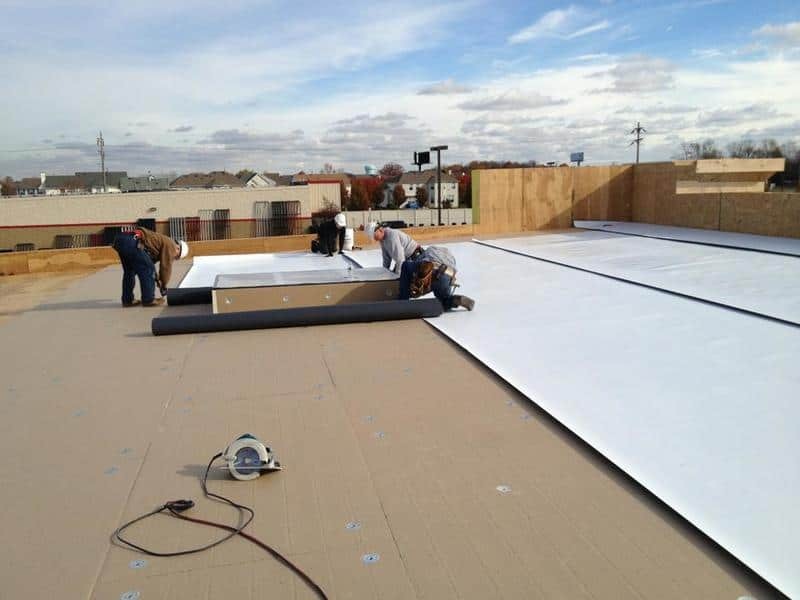 Commercial Roofing - Tortorice Contractors Inc. Whether you’re a building owner of a large commercial property, place of worship, apartment complex, or homeowners association, Tortorice Contractors Inc. can assist you in receiving the best return on your roofing investment. We achieve this through offering high-performance roofing systems, top quality maintenance, and industry leading guarantee solutions. We provide Comprehensive Options. We boast one of the largest portfolios of top-quality roofing products for both residential and commercial properties. This includes repair and maintenance products, as well as new and economical roof restoration systems (EPDM, BUR, MB, TPO, PVC, and composite systems). You’ll find nothing short of a broad array of energy-smart roofing options, including some of which are ENERGY STAR® qualified. Superior guarantee options that receive a No-Dollar-Limit guarantees for up to 35 years. We are always hard at work innovating better methods of serving our customers and meeting their needs. You shouldn’t have to think twice about the integrity of your commercial roofing system. Why trust your most valuable asset to anyone but the most reliable experts at Tortorice? Choosing a roof can be a stressful and confusing experience for anyone in the commercial industry. With our full line of top-quality roofing products, industry-leading guarantees, expert tools, and resources, Tortorice makes it easy for you to select the perfect roofing solutions for your needs. Choosing Tortorice means not only installing high-performance products from a trusted commercial roofing company, but it also means having the ability to protect your roof with great guarantee coverage. Provide documentation of the repairs. Choosing the right commercial roof for your business makes a big a difference in terms of your long-term profitability and investment. After all, the wrong roof could drive up utility costs, be more prone to leaks, and actually be a safety risk, meaning that you’ll have to shell out more money to replace it that much sooner. Thus, it’s in your best interests to get the roofing right the first time.